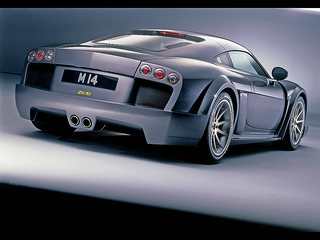 Designated the Noble M14 sports car, the next addition to the Noble line-up of super cars was introduced, in late 2004, at the British Motor Show with a price tag of £74,950. 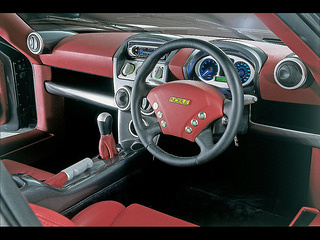 Its designers had an eye to it competing with such prestigeous rivals as the Porsche 996 Turbo and Ferrari 360 Modena. The styling was to be distinctive, and moving away from that of its predecessors, whilst incorporating forceful features in the front section. The rear of the car featured an arc of six different lights, and the two exhaust pipes were positioned centrally, for maximum impact, and above the rear diffuser. Since the M14 was now marginally longer and wider than the M12, this led to an increase in available space within the cabin, as well as creating an additional luggage facility in the front. The interior received leather trim throughout, whilst wool carpeting covered the floor area. No expense was spared when it came to the seating, which had a carbon fibre frame, and was covered in leather. The position of the sets was fully adjustable in all directions. With an eye to the driver, the M14 was fitted with air conditioning, electric windows, a heated windscreen, an immobiliser, and optional satellite navigation. It had a composite glassfibre body on a steel space frame chassis, and the cabin was constructed with an integral roll over cage for additional safety. The additional luxurious fitments increased the curb weight from 1080 kg to only 1150 kg. It used 33 cm AP Racing vented and drilled disc brakes all round, 18 inch alloy wheels, a redesigned steering wheel, and power-assisted steering. 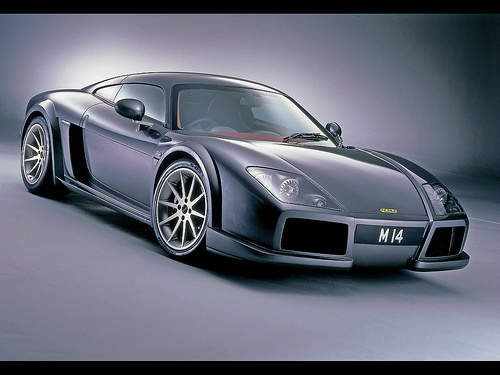 Following on from the M12 GTO-3R sports car, the Noble M14 was powered by a highly tuned 3 litre, Ford Duratec V6 engine, fitted with two Garrett T25 turbochargers that produced 0.7 bar of boost, together with two intercoolers, that were positioned behind the rear wheel arches, and helped to produce additional storage space at the rear of the car. Linked to this unit was the same six speed manual gearbox used in the M12 series, with gear ratios chosen to produce relaxing high speed driving. 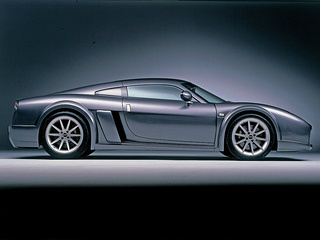 This produced a top speed of 190 mph, with a 0-60 mph time of 4.3 secs.